The great deals just keep on coming at Apache Menswear. Hot on the heels of our fantastic June Sale offers, we’re pleased to bring you a new summer menswear sale featuring our best-loved brands. Whether you’re a fan of Fred Perry footwear, Lyle and Scott classic polos, or Italian-designed gear by Replay, we’ve got just the ticket. Note that all Sale items are genuine reductions from our recent seasonal arrivals. With Autumn Winter 2017 fast approaching, now’s the time to grab the last of our Sale bargains. A pair of lace-up boots are an essential part of any gent’s wardrobe. 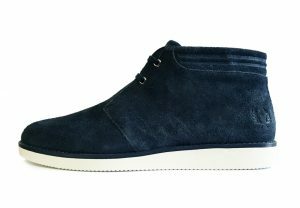 Fred Perry answer the call with this sumptuous Mid Suede boot, available in Navy for only £65. The entire upper fabric is made from a soft suede material, completed by an embossed twin tipping for that signature Fred Perry look. There’s also a chunky moulded sole for extra comfort and durability. We have this boot in all sizes from 7 to 11 in our summer menswear sale, so make sure to get yours now. Italian maestros Replay are world famous for their jeans; indeed, their new Hyperflex range has been a smash hit with Apache customers. But their design expertise goes well beyond denim to take in T-shirts, underwear, and sweatshirts. This Crew Neck Sweatshirt is a big favourite of ours with its simple, pared-down design. The 100% cotton fabric is fleece-backed, making the sweatshirt cosy, cool and comfortable in equal measure. Available in both Grey Marl and Navy. 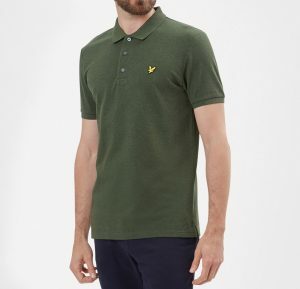 Lyle and Scott, along with Fred Perry, is our biggest seller and most enduring heritage brand. With simple but elegant designs like this Pique Polo Shirt, it’s easy to see why we do so well with them. Who wouldn’t want this superb Dark Sage Marl colour as part of their wardrobe? the three-button placket offers a smart look around the neck, complimented by the snug semi-tailored fit. 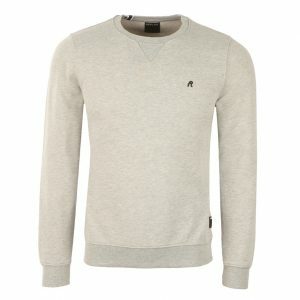 It’s quite rare for such a staple garment to be included in our summer menswear sale – so get in there! 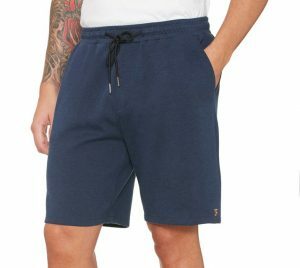 We sell hundreds of shorts over the summer months, be it sweat shorts, denim shorts, or chino shorts. This cotton sweat short by Farah is stretchy enough to let you sit in any position, and stylish enough to be worn throughout the summer. There’s an elasticated drawstring around the waistband to allow for maximum adjustment. Available in Yale Marl, Gravel Marl and Palm Marl. That’s all for our summer menswear sale blog. We hope you have been inspired to pick up a bargain or two! Remember, we run on a first come, first serve basis, so grab these limited supplies while they last. Previous10% Off Short Sleeve Shirts This Summer!